Migrating existing workloads to the cloud and adopting infrastructure management allows businesses to leverage the scalability and rapid innovation of Amazon Web Service (AWS). This can also help you adopt new services as they’re released, and scale operations based on demand. In this post, we will cover how a Fortune 500 company achieved migration milestones and reduced their AWS spend by 40 percent using Turbonomic. 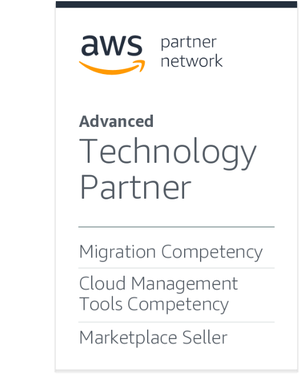 Turbonomic is an AWS Partner Network (APN) Advanced Technology Partner with AWS Competencies in both Migration and Cloud Management Tools. Their autonomic platform collects usage data from applications and processes it using artificial intelligence (AI), making full stack aware decisions across available compute, storage, and database resources without user intervention. Turbonomic enables customers to assess and optimize their hybrid cloud environment in real-time. The platform can assess your on-premises estate in 45 minutes, and within hours show exactly the compute, storage, and database resources, including Amazon EC2 Reserved Instances (RIs), required for applications to perform at the lowest possible cost, while still adhering to business polices. The Turbonomic platform automatically determines the CPU, memory, and storage required by leveraging a holistic understanding of the resource needs of the entire IT environment, from the application down to the underlying infrastructure. Figure 1 – Turbonomic visualizes in real-time the cost of each of your applications and workloads. Using AI, Turbonomic learns the performance and usage of your applications and improves prediction and resource balancing across on-premises data centers and the AWS Cloud, which can significantly increase the speed of a successful cloud migration. Turbonomic’s patented autonomic decision engine dynamically analyzes application demand and allocates shared resources in real-time to maintain a continuous state of application health. A Fortune 500 company sponsored an initiative to move a significant portion of their data centers to AWS over several years. The company’s IT director initiated a pilot program to migrate more than 400 workloads, but further migration was put on hold as the CFO calculated whether the organization’s spend of hundreds of thousands of dollars per month should continue. If so, it would leave their annual IT budget depleted in just four months. To deliver on the company’s digital transformation goals, the IT director needed developers to leverage AWS services. However, they could not migrate any more workloads until there was a better strategy in place to control overall cost. Why Do Digital Transformations Stall? We see the aforementioned scenario occurring with greater frequency. Organizations move to AWS to accelerate their digital transformation only to encounter common challenges that delay progress, which can result in higher spend, limited ability to adopt new technologies, and reduced ability to compete in a constantly changing market. Lack of management agility. The typical organization not only arrives in the cloud over-provisioned, but they’re also burdened by rigid, ITIL-based management practices that are antithetical to cloud agility. When cloud resource optimization decisions are manual and depend on humans reacting to alerts and analyzing dashboards, it’s difficult to unlock elasticity. Our Fortune 500 customer was running Turbonomic’s agentless platform across their entire data center for three years, leveraging intelligent workload automation to increase density by 50 percent, eliminating nearly half of their hosts and saving nearly $1 million within the first three months of using Turbonomic. The customer did this while simultaneously assuring the performance of their applications. In order to control cost and accelerate the success of their cloud initiative, the organization followed two best practices—optimizing spend both up front and continuously. Turbonomic helped the customer optimize the rest of their cloud migration targets before going to AWS. This delivered predictable cloud costs and got the migration back on track. True lift-and-shift without taking Turbonomic’s optimization decisions. Optimizing cloud targets before the move with Turbonomic’s real-time, intelligent optimization decisions. 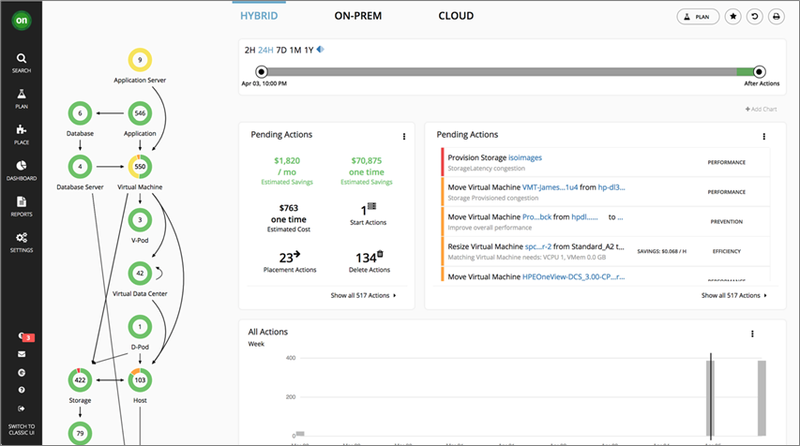 Optimizing cloud targets pre-migration while intelligently leveraging Reserved Instances. Figure 2 – Turbonomic’s Cloud Migration Plans match on-premises workloads to proper instance type and storage. For the workloads already on AWS, and for the additional workloads that joined them once the migration resumed, the Turbonomic’s AI-powered decision engine automates simple tasks like suspending or deleting unused resources, as well as highly complex actions. Turbonomic continuously optimizes RI consumption—in concert with resizing—to maximize discounts across the entire estate, therefore maximizing total cloud cost savings. Figure 3 – Enabling automation for Turbonomic actions keeps the environment continuously optimized. By employing these two best practices, the customer’s AWS bill was reduced by 40 percent, saving nearly $200,000 per month. These savings can be just the beginning. As demand changes on the aforementioned 432 workloads, and as more workloads move to AWS, Turbonomic’s ability to continuously optimize will generate actions to drive further savings. Finally, with Turbonomic automating the “chores,” the customer’s IT department will empower the builders and creators to focus on innovating. Turbonomic customers, by being “responsibly agile,” can move faster and consume cloud resources on demand, secure in the knowledge that the environment is continuously self-optimizing around them. Figure 4 – Turbonomic continuously optimizes for cost and performance across your AWS environment. Using Turbonomic can ease application migration to the cloud while controlling your infrastructure and spend. Turbonomic can be deployed both on-premises and on AWS to smoothly migrate between the two and prevent over-provisioning of resources. To try Turbonimic for free, you can deploy it as an on-premises virtual machine via AWS Marketplace. Turbonomic is an AWS Competency Partner. Their AI-powered Workload Automation for Hybrid Cloud simultaneously optimizes performance, compliance, and cost in real-time. Workloads are precisely resourced, automatically, to perform while satisfying business constraints.